"Do You Have An Interesting Pencil Drawing Experience?" Pencil-Drawing-Idea.com is all about my pencil drawing experiences, videos, tips and step-by-step lessons (as you may have guessed!). Remember my free step-by-step drawing lessons on how to draw angels, animals, flowers, people, cartoons, etc.? Can't remember? Not a problem. You can surf by clicking on the sitemap navbar later. But, now, I'd like to turn the tables on you. I would love to hear about your best drawing experiences, your most interesting information on pencil art, your top pencil sketches tips... anything about drawings that you'd love to share. Whether you got it on videos, photos, pictures, or simply write them. You'll have an UNLIMITED 'Drawing Space' for you to share it to the world. If you've been drawing and adore it as much as I do, please share your drawing experience with us! I'd love to hear from you and I'm sure others who visit this site will thank you, too! What really says, "Any drawing pencil sketches!" on your experiences, tips, ideas or stories? Drawings of Angels that captures your top "Angelic Moment"? Share a special, secret, how to draw animal pencil sketches. Did you have a beautiful pencil flower drawing? 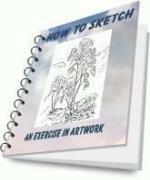 Do you have a #1, absolute favorite, pencil drawing of a rose experience? What are your favorite pencil sketches of people idea? Found your favorite how to draw cartoon characters videos, tips or ideas? Found Your Favorite Drawing? Share It Here! Got any drawing ideas. Don't be shy ... share it and inspire us! It is just another drawing practice. Below is the expression made by Meysam... "I told with you at nights I kiss u when me & u are alone I love u"
One of my cool tatoo pencil sketches. Hi, am Horace, this is a drawing of Shaq. That i did in 2005 as a sketch for a tattoo. There a lot more like this one on my website. My recent charcoal painting from a photo I found and liked. When I saw this picture, just had to have a go at drawing it, I think how was it in earlier days? and now left abandoned. well,when i did this drawing i was thinking about freedom,about flight. the dog jooch was a really angry dog. I took this picture from Chiangmai, the north of Thailand, then I would like to share the feeling from this couple of eyes thru pencil drawing. "My new life in a big city, so difficult to understand it... I'm alone and careful, but it rains today and I will draw a picture about it... "